I am usually not a fan of playing games but I just got to admit that the Temple Run 2 game sorta makes me enjoy gaming. Like I said, I am not a fan of playing games and based on ideas so far, I would say this is the best run game for android devices. The game just keeps me company on my innjoo note and it’s a pretty awesome experience although the highest score I have attained so far is slightly below 200000 (Yes, that’s little compared to what I’ve seen most players attain). Since it’s Christmas season, an update was rolled out yesterday been 12th of December, 2014. This update allows you choose Santa Claus as your preferred runner. You can also choose to use Mrs Claus or Usain Bolt. However, been able to choose these new runners ain’t free. Using Santa Claus requires you spending 40 Gems and same applicable for been able to use Mrs Claus. Been able to use Usain Bolt on the other hand, requires you to purchase him. Don’t get scared, it’s just $0.99. Am pretty sure addicted Temple Run 2 game lovers wouldn’t mind spending such amount to get the world fastest runner run for them on the game. Please Note that the Santa Claus and Mrs Santa been able to run on the game is only available for a limited time. Perhaps, till the end of the Christmas season. How Do I Get Gems On Temple Run 2 Game? Since Santa Claus and Mrs Claus require you spending 40 Gems on them, the next question would be, how do I get gems on the game right? Well, there are basically three methods to attaining this; During the course of playing the game, free methods and the paid method. During the course of playing the game, you could get free gems which you can pick up while running. Free method of getting gems involves watching video clips, Liking the page on facebook, daily challenges and weekly challenges. For the paid, 5 Gems pack cost $0.99, 50 Gem pack cost $4.99 while 500 Gem pack cost $19.99. Just launch the game, on the home screen, tap on Menu and Tap on Upgrades or Store. How Do I Update Temple Run 2 Game App? Simply launch Google play store app and swipe the screen from left to right. Tap On My apps and Tap on the Temple Run 2 and choose to UPDATE. 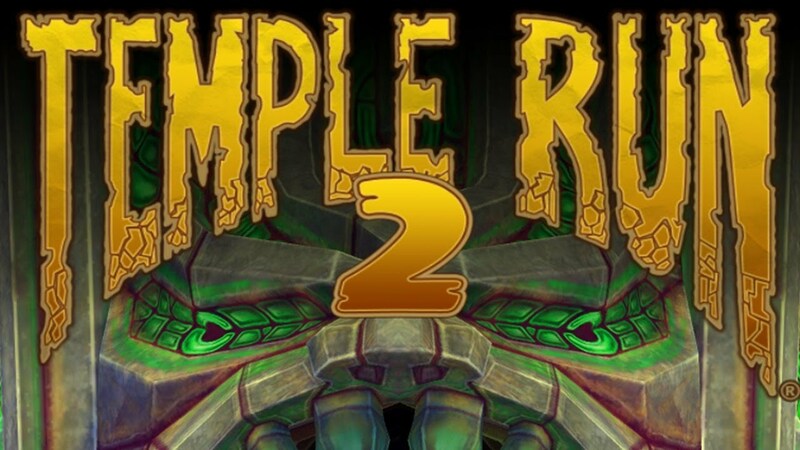 Or better still, you can click here and choose to update the temple run 2 app game.